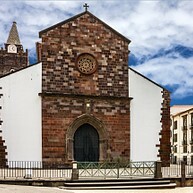 Funchal has no shortage of cultural pursuits or things to do. With a large amount of museums, gardens, cathedrals and tours it's simply impossible to get bored. Surrounded by the magnificent Atlantic ocean, green mountains and boasting amazing weather, the city centre is characterised by white cobbled streets, an attractive promenade where one can stroll and relax, and cafes which serve authentic Portuguese and Madeiran dishes. Since it's a relatively small town, you can get to your destinations quite easily by foot. One of the most breathtaking views of Funchal is definitely from the top of Pico do Arieiro. It's one of the highest peaks of Madeira, which will provide you with a stunning panorama of the island and a dramatic view of the clouds rolling over the hilltop. Put on your hiking boots and climb up the summit, or simply go by car. More than 100,000 exotic plant species from all over the world, black and white swans from Australia, and multiple ponds and lakes. 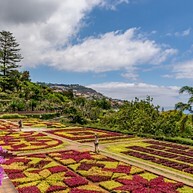 Monte Palace Tropical Garden is one of the most impressive sights of Funchal. In this tropical garden you can find the Monte Palace Museum which houses exhibitions featuring artefacts from a diverse range of international cultures. Interested in the history of Funchal but don't have enough time? This is the perfect place for you. 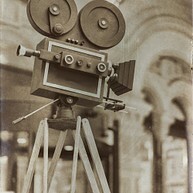 The Madeira Film Experience is a 30 minute audio-visual journey that takes you through 600 years of the incredible history of the island. You can experience the lives of the Madeirans during the wars, revolutions, victories, and so much more. Get your popcorn ready and enjoy the film experience! This magnificent cathedral was built over 500 years, in the beautiful Gothic style. The cathedral has an impressive silver cross, donated by king Manuel himself in the 16th century, sculptures, and incredible oil paintings. It's surely worth a moment of your time. Ever wondered what it would be like to stand in the (football)shoes of one of the most gifted athletes in the world? The museum devoted to Cristiano Ronaldo offers just that. Take a look at the trophies, Ballon d'Ors, fan correspondence, and even an interactive timeline of the life of Ronaldo. If you feel like it, you can even take a picture with a digital version of him. Imagine yourself on a catamaran, drifting on the sea while watching dolphins jump and whales swimming by in the clear, blue water. VMT Madeira arranges all sorts of trips where you can experience all activities possible by catamaran. There is even a sunset trip, which gives you the most stunning view of the setting sun over the Atlantic Ocean. What better way to discover Funchal from high above than whilst gliding down the mountain in a cable car. From departure to arrival, you will experience the green slopes, mountains, and even the amphitheatre of Monte and Funchal. The view is even more spectacular with the blue Atlantic in the background. Don't forget to pack your camera and capture this stunning adventure. 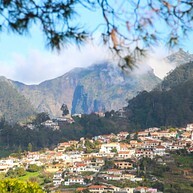 Curious about the history and the present of Madeira? The Madeira Story Centre tells the island's history starting from the volcanic origins and attacks of ferocious pirates to the alluring travel destination that it has become. The museum provides exhibitions in chronological order for you to fully experience the history and culture of Madeira. There is even a terrific restaurant situated inside the museum. Portugal is known for its beautiful Roman Catholic art spanning many centuries. The earliest pieces date back to the 15th century and include woodwork, silver and gold artefacts, and even furniture with wooden engravings. There is also the occasional painting by a Dutch, French or Flemish artist. 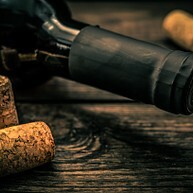 Madeira is known for its wine, and what better way is there to experience the local culture by joining a wine tour? 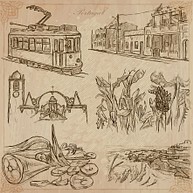 It teaches you about the transformation of grapes into Madeira wine, and the tour ends with a tasting of several wines. If you want to experience one of the most colourful streets of Funchal, you have to visit Rua de Santa Maria. If you walk down the narrow street, you will be in awe: the doors are plastered with the most amazing paintings you can possibly find. 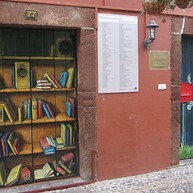 There are about 200 doors/paintings along the street. If you want to experience spectacular views of Funchal, visit the Santa Catarina Park. No matter where you gaze, you will see the tree species from all over the world, the bay to Ponta do Garajau, statues of Christopher Columbus and Henry the Navigator. You can even experience a religious ceremony by attending the Santa Catarina Chapel. The Funchal Natural History Museum has more than 41,000 specimens that you can admire. 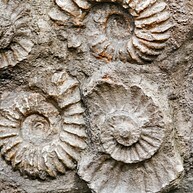 Fish, terrestrials and maritime reptiles, plants, minerals, you can discover all of these and much more in this museum. It will surely enhance your knowledge about the history of nature. During the mid-17th century this impressive, beautiful building was built by a noble Portuguese family. 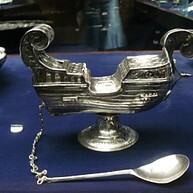 Nowadays it houses the original collection of decorative art by the collector of Madeira, César Filipe Gomes. There is Portuguese furniture dating back to the 17th century, Oriental and European porcelain items, and a beautiful chapel located in the garden. Ready to take a gamble at the casino? Casino da Madeira is not only a regular casino, but has restaurants, a fun zone and a nightclub. It's a wonderland for adults who want a night filled with entertainment. 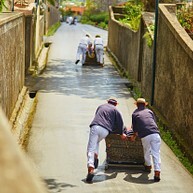 Two men dressed in traditional white cotton clothes and hats, pushing a two-seater wicker sledge on wooden runners. That's the way people used to travel the streets of Madeira. It takes 10 minutes to glide 2 kilometres down with an average speed of 48 kilometres per hour. It's a huge touristic attraction; the exciting experience if certainly worth the wait.